You are here: Home / Get Up and GoGO with an Electric Muscle Stimulation Workout! If you’ve ever wanted to feel like Angelina Jolie training for SALT, this is your chance. Something about the EMS (electric muscle stimulation) electrodes, dampened wetsuit with vest, dim lighting, and your trainer’s laser-sharp focus creates what I imagine life is like prepping for an action-thriller. Blockbuster moment aside, GoGo Muscle Training is probably unlike any other 20-minute workout you’ve experienced. And yes, it really does involve electrodes, a wet-suit, and one-on-one training. Your first session at GoGo involves much more than simply getting suited up. The appropriate wardrobe is provided at the studio (black leggings and accompanying long sleeve shirt) and the first order of business is to receive your Comprehensive Body Assessment via the very sci-fi Segmental Composition Analyzer. A quick minute or so with this machine will let your trainer know everything from specific body mass readings (e.g. is your right arm stronger than your left? ), hydration levels, overall body fat percentage and more. The information gathered allows your trainer to determine a workout specific to your body. Once you’ve finished the assessment, you’ll head into the studio to start the workout. The vest, armbands, and leg bands are dampened with warm water, which acts as a conductor allowing the electrodes to most effectively work with your muscles, and you’ll get snuggly velcroed in. This is where it starts to feel very spy-like. Also unique to your first session is the calibrating of the EMS levels. Your trainer will go through each targeted muscle area, turning up the intensity of the EMS while you provide feedback. You want the intensity to be at about 6 out of 10. The result is a slightly uncomfortable feeling, but certainly not painful. As you work out, the intensity can be turned up or down if needed. The workout itself is only 20 minutes, which seems like a breeze compared to typical 45-60-minute classes, but as soon as you get going you’ll realize why. The intervals of work are 6 seconds with 4 seconds of recovery, with relatively simple exercises like mountain climbers and planks becoming nearly impossible. But perhaps the most fascinating aspect is that you suddenly have access to muscles you didn’t realize exist; as you work out, you can tap into specific areas that were previously difficult or impossible to target. The 20-minute workout is equivalent to a 90-minute workout and targets 90% of all muscle fibres. 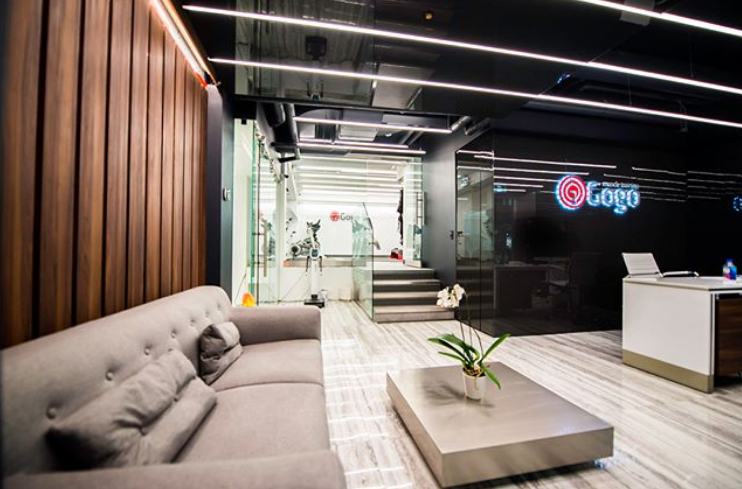 The team at GoGo will advise you to take things easy and stretch a lot for the 48 hours following the workout, as your body will continue to burn a high number of calories and your muscles will reach peak-levels of soreness within two days. Leaving the studio, my core immediately felt tighter and throughout the day, I experienced incredible amounts of energy (almost like the EMS workout gave me a steady-state caffeine jolt… minus the jitters and dehydration). Luxurious Change Rooms: fluffy towels, high-end toiletries (including dry shampoo, body lotion, and more), blow-dryers and vanity mirrors allow for a comfortable mid-workday experience. Complimentary Espresso & Protein Shakes: when you leave the studio, the team will offer you a vanilla or chocolate protein shake (with a vegan option available as well! ), which helps you feel your best as you continue on with your day. If you arrive early, you can enjoy an espresso in the lounge before your workout. What was most surprising to me was just how rejuvenated I felt after the workout. The effects of the EMS leave you feeling stronger immediately with newfound energy, which is not a bad way to go about your week, especially when you’ve just completed a 20-minute workout equivalent to 90. 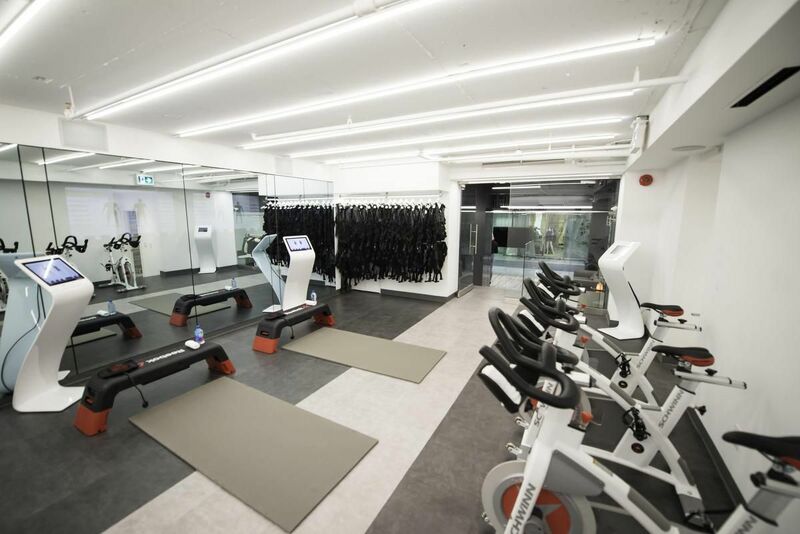 You can learn more about the workout here and visit the studio at 70 Yorkville Ave.